For some of us, we’re hanging on to the last lingering days of summer. But, let’s be real! Fall is around the corner, and I have a feeling that this season is going to come quick. For me, Fall is one of my favorite seasons. I’m a New Englander, so I’m in my element. My skin and lips? Not so much. They need some extra TLC! With that being said, I’m all about products that give TLC back…meaning that my lipbalms must be cruelty free and/or natural. For those of you who are looking for lip products that are as good to the environment and animals as they are to your lips, I’ve got your compassionate kiss kit ready for you! All of the balms featured here are cruelty free and made with safe, organic, and natural ingredients. Here’s why you need each one in your purse at all times. Pixi Brilliance Balm comes in a variety of different colors. And I’ll be honest, I’m a sucker for cute packaging. This balm adds moisture and color to my lips effortlessly. I love wearing this balm for a weekend look on the mornings where I happen to be on more of a time crunch. This perks up my pout quickly and easily! ACURE Organics in dark chocolate and mint is simply divine. It’s unique in that it’s Argan Oil based and offers some major therapeutic ingredients. For a short time, when the weather changes my lips go in to shock (along with my skin, hair, and nails…oh New England…), and this is the ONLY lip balm I can use to heal the corners of my lip. Argan Oil (much like my beloved Calendula) is a miracle worker. Not to mention, this stuff is delicious! Kiss My Face in Cranberry Orange is thick and rich. I LOVE how this balm feels on my lips and I love the scent and taste. This balm also offers SPF coverage which even in the cooler months is a must! Kiss my Face is one of my favorite cruelty free brands and one of the first animal friendly balms I ever purchased way back when. Bare Bones Body Care is a small brand I learned about from Vegan Cuts. The lady behind the lip balm, Monica, makes her own potions of moisture right in her kitchen. What does that mean? It means you can read the ingredients (Coconut Oil, Shea Butter, and Peppermint to name a few), and that you can be assured that it’s safe and natural. I love using this balm right before bed! 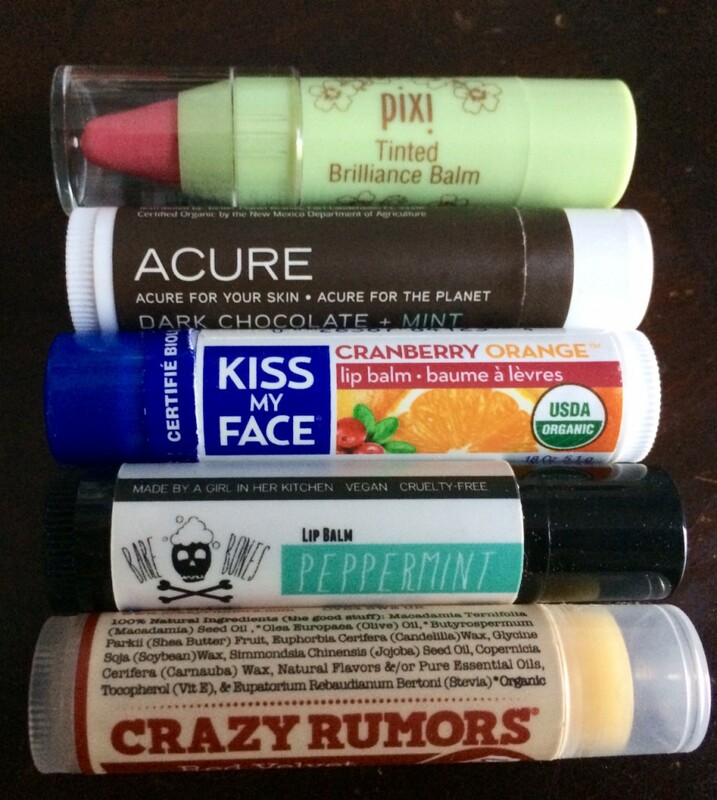 Crazy Rumors is my most recent brand crush for cruelty free lip balm. Their packaging is fun and funky and their flavors are complete yum. Try their Red Velvet Cake and thank me later. It’s a treat without any guilt! How do you keep your lips soft and silky? Christine is an English teacher with a love of cruelty-free, natural products. When she’s not teaching or blogging, she loves to bake, read, and perfect her vegetarian recipes. NOTE: This post is not sponsored. 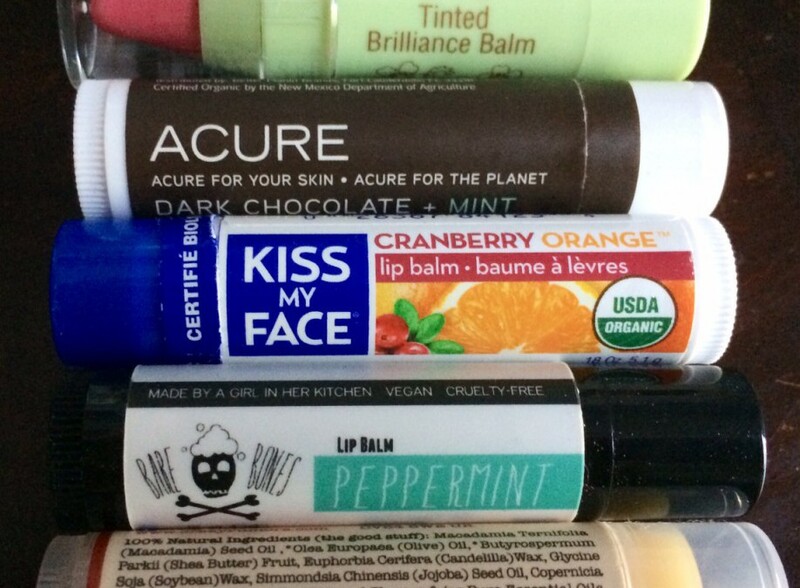 Crazy Rumors and Bones Body Care lip balm were sent for testing and consideration. LOVED your first post, Christine!! Have you tried their lip colors? Thanks so much Lauren! You are going to fall in LOVE with everything Crazy Rumors. :) I have tried their Hibiskiss lip color and they are just as amazing! The coffee line from Crazy Rumors is insanely delicious!